Over the past decade, unmanned systems have become regular features in military operations. The extensive use of unmanned aerial vehicles (UAVs), in particular, has turned the spotlight on the huge operational benefits those systems can have, with a potential scope of action extending far into the land and maritime domains and even to space and cyberrelated activities. We are probably only at the beginning of a new technological (r)evolution as unmanned systems will get ever more autonomous with the help of Artificial Intelligence (AI) and cognitive computing. For defence capability planners, developers and operators, this means a lot of new challenges but also opportunities. 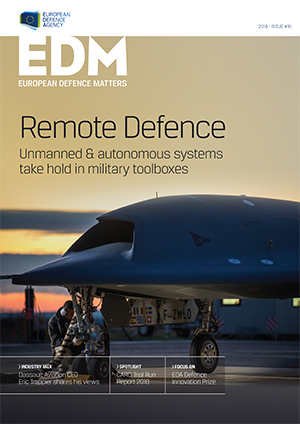 On 20 November 2018 the European Defence Agency’s (EDA) ministerial Steering Board welcomed the report on the trial run of the Coordinated Annual Review on Defence (CARD), which has already proven to be an essential initiative in fostering coherence in European defence expenditure and capability development. In February 2018, the European Defence Agency launched the ‘EDA Defence Innovation Prize’ rewarding companies and research organisations that have proposed innovative ideas, technologies, products, processes or services applicable to the defence domain. 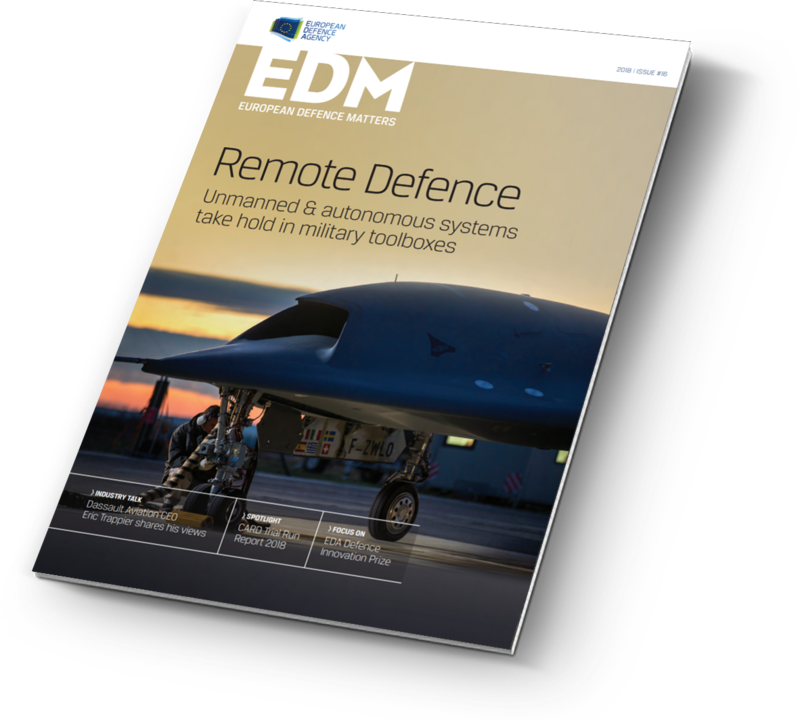 The European Defence Agency’s (EDA’s) third edition of the European Military Airworthiness Certification Criteria (EMACC) handbook was published early this year. It assists European Ministries of Defence and aviation authorities in the development of new airworthiness certification programmes for military aircraft or in the quality assessment of existing ones. On 12 September, some 200 experts, stakeholders, industry representatives and political and military decision-makers from the European, transatlantic and international Air-to-Air Refuelling (AAR) community gathered in Brussels for the 1st AAR Conference in Europe organised by the European Defence Agency (EDA).